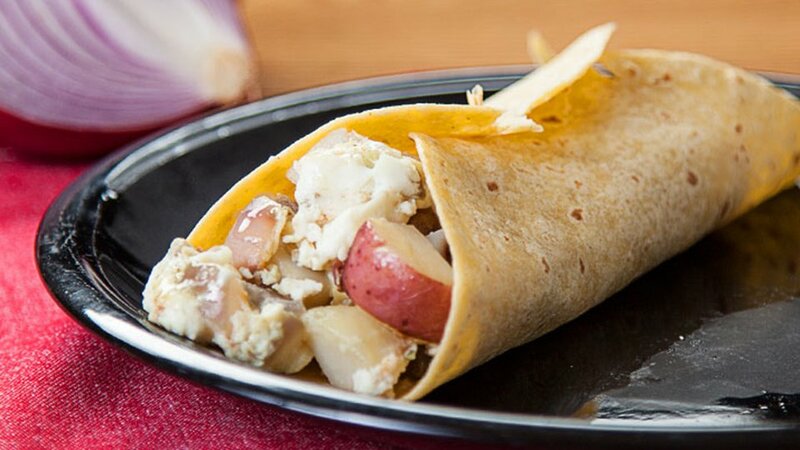 Sticking to your Lean Body Meal Plan is easy with this breakfast burrito recipe. Heat the olive oil in the skillet over medium heat and add the potato and onion. Cook, stirring occasionally, until the onion is soft, about 5 min. Sprinkle with garlic salt and pepper to taste. Add the egg whites and cook, scrambling, until done to taste. Warm the tortillas in the microwave. Spoon the mixture on top and roll up. Serve while still warm, or wrap in foil to take with you.